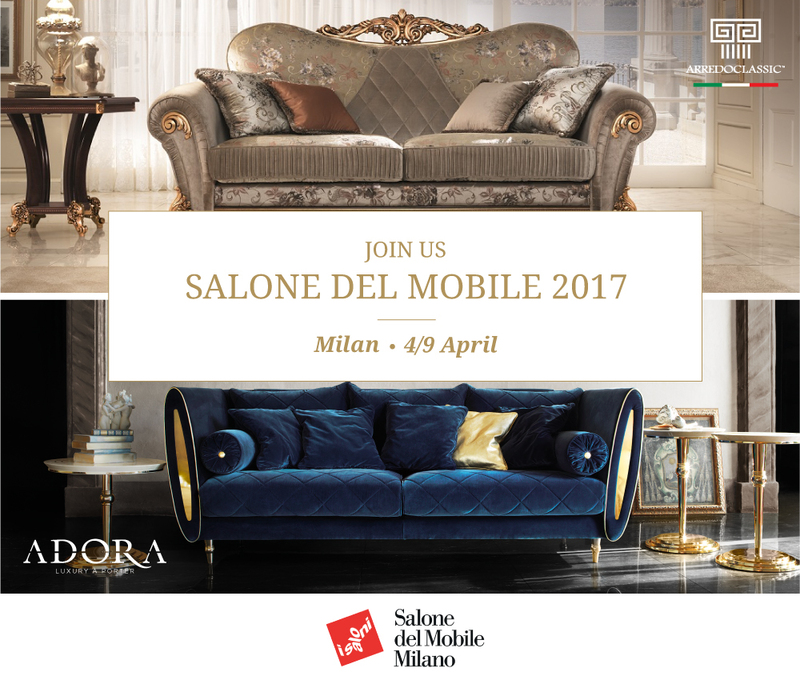 From the 4th to 9th of April 2017, Arredoclassic will attend the 56th edition of the Salone del Mobile in Milan, the well-known international event that signes the story of design and decor in the past, the present and the future. In this occasion we will present the novelty of our new brand Adora, Luxury-à-porter: the Diamante collection. This new collection, which includes both living room and sleeping area, has a contemporary and pleasantly vintage design. By visiting our stand you can also see the new Arredoclassic collection Fantasia, along with a taste of our staple Collections: Sinfonia, Melodia, Leonardo, Tiziano, Liberty and Donatello. In our stand you will have the opportunity to meet our staff and get acquainted with the classic and contemporary elements that represent the Italian products in the world. It will be our pleasure to welcome you at Pavilion 14 Stand C33-D30, Lane C-D.
Would you like to receive more information on the collections that will be presented at Salone del Mobile?